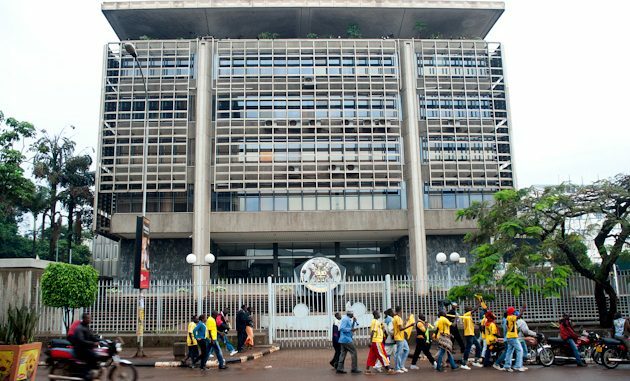 Bank of Uganda headquarters in Kampala. Healthy banking sector. Healthy economy. So goes the thinking. Banks play a vital role in economic life—whether for individual consumers, or more broadly across an entire economy—and a strong and stable banking system is a matter of public concern. As part of their work, supervisors identify potential weak points in the system and take prompt corrective action. They need the freedom and flexibility to carry this out. The world learned this lesson all too well during the global financial crisis. Operational independence prevents supervisors from succumbing to “capture”—either by the industries they oversee or by political actors promoting self-interested agendas, but too many policymakers fell short of that standard in the run up to the crisis. Since the crisis, operational independence became a top priority. For instance, in its 2010 report on enhanced supervision, the Financial Stability Board said operational independence of supervisory agencies “is critical to ensuring supervisory effectiveness.” The report highlighted the particular importance of independence as agencies’ roles widened to include authority to take countercyclical (and potentially unpopular) actions, for example, imposing more conservative underwriting standards in boom times or raising capital requirements. Give supervisors a clear mandate, adequate resources, and strong governance structures. Strong supervision of systemically important financial institutions is particularly challenging given the size, complexity, and influence of these institutions. Yet global financial stability depends on it. The Basel Committee on Banking Supervision agreed when it gave this issue greater prominence in the 2012 revisions to its core principles for effective banking supervision. The standards now require supervisors possess operational independence, transparent processes, sound governance, legal protection, and sound budgetary processes. Importantly, the standards also call for laws spelling out banking supervisors’ responsibilities and objectives, along with a requirement their objectives be published and that regulators be accountable through a transparent framework. Simply put: Give the supervisors a clear mandate, adequate resources, and strong governance structures—and then hold them accountable for fulfilling their mission. Still, of the 29 Basel Core Principles, the IMF and the World Bank found progress to be weakest on independence and resources—to the extent that almost no country is fully compliant. Unfortunately, compliance failed to improve in the years since the revisions to the Core Principles. Weak governance along with inadequate human and budgetary resources—both of which create opportunities for outside influence and pressure—remain the greatest shortcomings. This holds true whether or not the supervision function is inside or outside the central bank. Every nation is vulnerable to such problems—not just emerging market economies, where institutional capacity may still be developing, but advanced economies as well. The joint financial sector assessment reports by the IMF and the World Bank often identify the potential for government interference in banking supervisors’ prudential decisions. In countries where state-owned financial institutions play dominant roles, maintaining the integrity of prudential decisions is vital. Operational independence cannot be unlimited, of course, and supervisors must be held accountable for their actions or inactions. Yet diluting the regulatory framework, whether by easing up on supervision or failing to take corrective action when vulnerabilities exist, goes against the very mandate of banking supervisors. Politicians and the financial industry must let banking supervisors do their jobs, giving them adequate resources to ensure the safety and soundness of the financial system and holding them accountable for discharging their prudential duties. If countries have sectors or industries that need to be nurtured, policymakers should use budget resources to support them, but they shouldn’t create market distortions, weaken prudential regimes, or foster weak institutions. It’s easy to dismantle a regulatory regime or demolish a supervisory culture, but re-establishing a sound regulatory structure is a long process, during which time a nation’s financial system can be exposed to grave risks. A decade after regulatory lapses helped provoke the most painful financial crisis in a century, policymakers must renew their commitment to a vigilant, independent, and accountable supervisory structure.